A member of the Hasbro family just picked up a new Fisher Island condo. 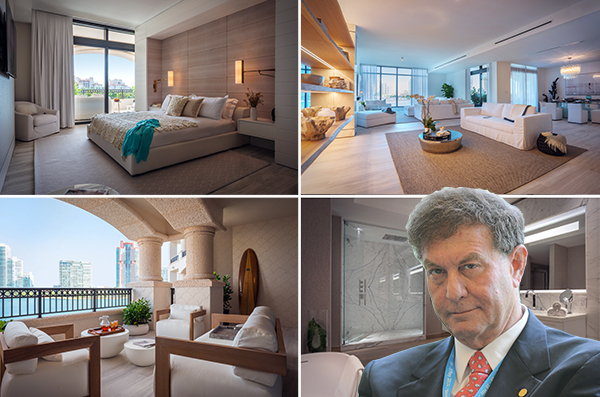 Billionaire Alan Hassenfeld, former CEO of the toy company, paid $8.2 million for a unit at Palazzo del Sol, according to a spokesperson. And it looks like Hassenfeld and his wife’s new condo has plenty of space for toys: the three-bedroom, three-and-a-half bathroom, 4,560-square-foot unit 7052 features marble, specialty wallpaper and teak walls. It was designed by Antrobus + Ramirez. PDS Development, led by Heinrich von Hanau, completed Palazzo in 2016. The 10-story building’s 43 units go up to 9,800 square feet. Other owners include high-profile attorney Jim Ferraro, Azerbaijani billionaire Aras Agalarov, and Yard House founder and CEO Steele Platt. Dora Puig is leading sales. In May, Palazzo’s largest penthouse sold for $31 million to an offshore buyer. Amenities include infinity pools, a private movie theater, a salon, fitness center, children’s playroom and bar.